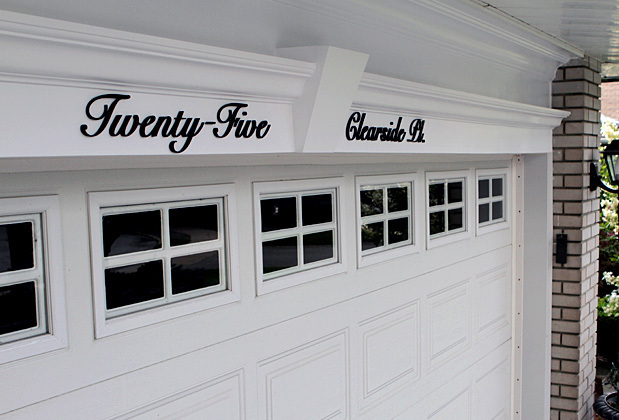 Script house numbers and address signage in 3 dimensional form. In most cases we use 1/2" thick glossy black acrylic attached to the stucco wall with double sticking adhesive and few dabs of silicone. Matte black, white and custom color options are also available. Installation was a snap with our patented installation system®. Including easy to use self installation Kit, precise spacing template, and instructions. 1. Send us the size of the wall where the sign will be hung with a picture of the wall taken straight on. 2. Describe the wall (example: smooth wood, rough stucco) and installation address. 3. What finish do you prefer (example: Glossy Black, Matte Black, White or custom color). 4. Do you want cursive or script, serif, or sans-serif text. If you want a specific font, let us know. We are flexible because our signs are 100% custom made meaning you can choose any font you like. 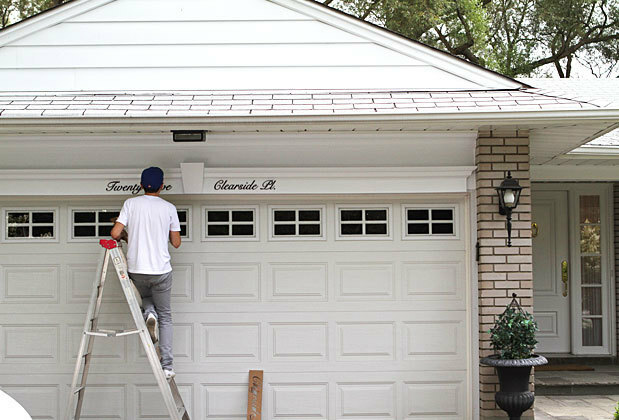 Installation in Toronto area costs approximately $120.- but you can easily do it yourself and save ! To receive a quote we’ll need two dimensions of the space you want to place the 3d sign, also we will need a picture of the wall to have better idea of what kind of material can be used. Final look of the cursive house numbers. This 3d sign can also be made with just the numbers or digits without the wording. Everything is easily customizable. Installing a house sign like this takes no more than 30 min including the time it takes to position and confirm final placement. Our precise laser cut installation template makes installing your house sign a breeze. It allows for less measuring and the peace of mind that all the numbers and letters will be positioned accurately. 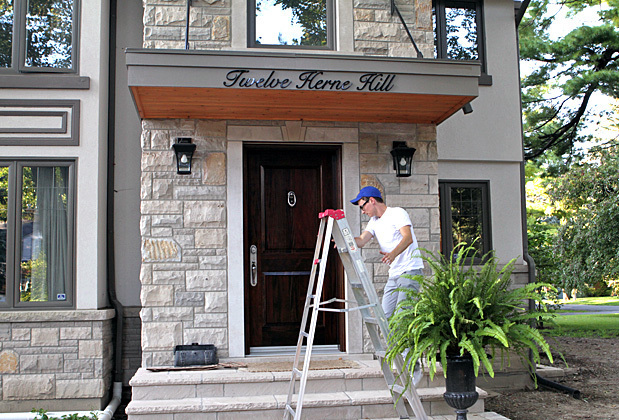 A big improvement to the visual aesthetic of your home’s exterior. 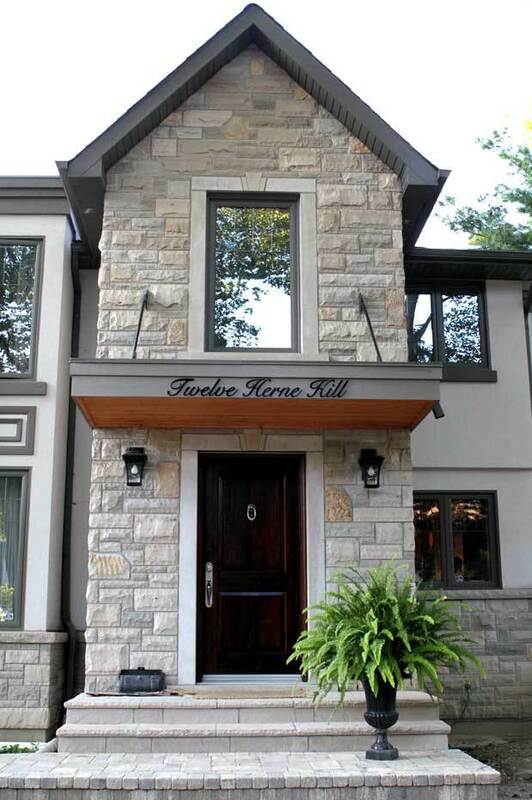 Both elegant and high class, a great way to quickly increase the resale value of your home. With our new address sign it really does look like a million bucks. What Material do you use for House Number signs? In most cases, the material we use is 1/2” or 1/4” glossy black acrylic. Although we also make matte black acrylic house signs, glossy black acrylic is a popular choice because it does not require painting and because of that, is also more cost effective than acrylic painted matte black. The black color is actually embedded in the acrylic so the finish will stay untarnished even with daily exposure to rain, snow and sun. That being said, if you need the sign to be metal, we can also make it using 1/4” or 1/2 aluminum or stainless steel. The letters could even be thicker than 1/2” because everything we make is custom. So if you have any special requests, please let us know! How will my house sign be mounted to the wall? For mounting we use double sided tape and silicone. If your wall is relatively smooth such as painted siding, flat brick or even stucco then this type of mounting works great. If however, you are installing your sign on a very uneven surface, instead we would use spacers with metal screw that drill into the wall to secure the house number. These screws are coated with clear silicone to ensure they stay securely in place. 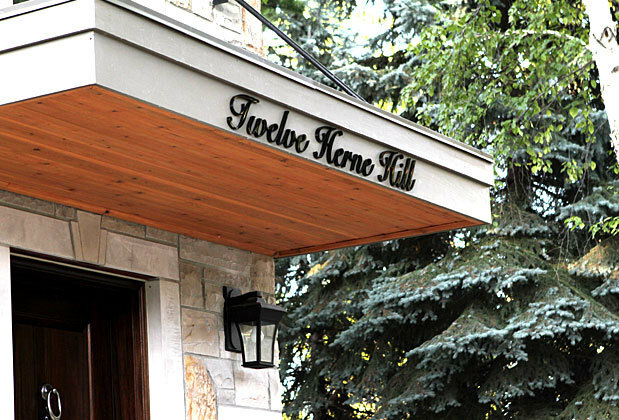 Can I use any font for my house number sign? Yes, you can use any font for your sign because everything we make is custom made to order. If you are unsure of what font to use we can recommend a few options and even show you what they will look like on your house. Our designers are able to make mockups very close to the finished product. ​How do I pick the right height for my numbers and letters? It’s best to first take a step back and measure the area where the address is to fit on the wall. Measure both the width and height of the spot you would like to mount your house number and then take a picture of the entire space straight on. The picture will help us show you what your house sign will look like once you submit your request. Once you have the available height, it’s best practice to allow 1-3” of breathing room above and below the house number. If you are not limited by the height of the available space, keep in mind the average height of house signs is between 4-10”. It’s hard to imagine exactly what your sign will look like without a visual aid. 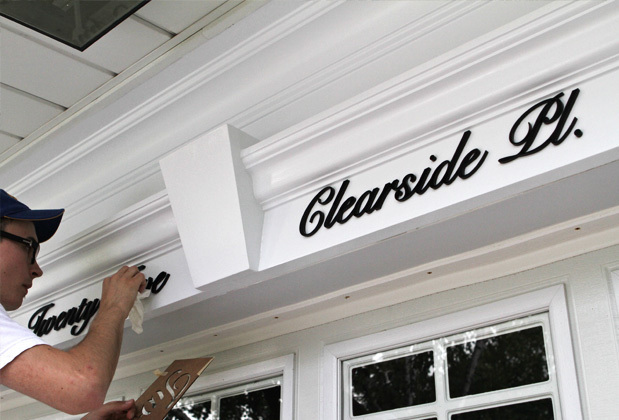 This is why we provide Free proportional Mockups before any custom house sign we make. That way you will be sure you have the right size before we make your sign. Do you provide free mockups? Yes, we always provide free mockups of every house sign we make to avoid any surprises and ensure you are happy with the final result. 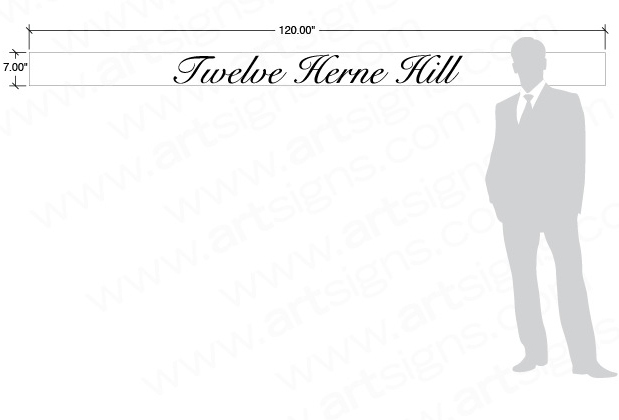 ​Ready to order your custom house number sign? Submit a quote request and we will quickly help you pick the right color, size and finish to match your house.